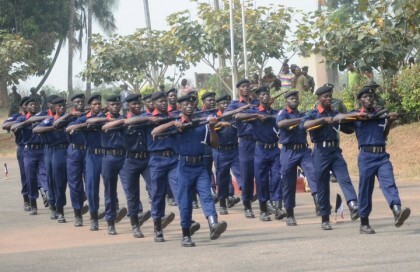 The Commandant-General of the Nigeria Security and Civil Defence Corps (NSCDC), Abdullahi Muhammadu, said the corps was delighted to collaborate with the State of Israel for the progress of the organisation. Muhammadu said Israel had “all it takes to assist and support the Corps to attain greater heights both now and in the future’’. This is contained in a statement signed by the Public Relations Officer of the Corps, Emmanuel Okeh. The statement said Muhammadu made the remark during a courtesy visit of NALAV GOVEN, Deputy Head of Mission, The Embassy of Israel, to the Corps National Headquarters, Abuja, on Wednesday. Earlier, Goven said Israel had a population of 8 million people, and that due to its arid location it was faced with two challenges – how to feed its population and its Defence. He said Israel addressed the challenges and turned them into opportunities which made the nation what it is today. He disclosed that the Ambassador of Israel had already met with the Minister of Interior, Lt.-Gen. Abdulrahman Dambazau, and invited him to Israel to attend a conference to hold between Nov. 14 and Nov. 18. The deputy head of mission, therefore, asked the commandant-general to attend the conference. He said, “while at the Government level the different Governments will hold their deliberations, also at the sidelines, the Government Agencies, especially the NSCDC collaboration with Israel will be fully addressed’’. He said he believed the outcome would be positive.